As we kick off 2019, it’s a great time to reflect on what we achieved last year, and what can be accomplished in the year ahead. Join Toptalers from Mexico City for a Coworking day, January 25th, starting from 9:00am. 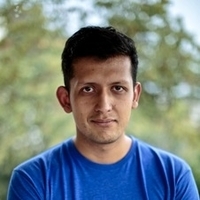 The event is also an opportunity to meet other Toptalers like Juan Carlos Lozano, a Toptal developer and the Community Leader for Mexico City, who will answer any questions you have about working for Toptal.